Faulty gas pumps mean you could be buying watered down gas, gas with sediment in it, or getting less gas than you pay for. 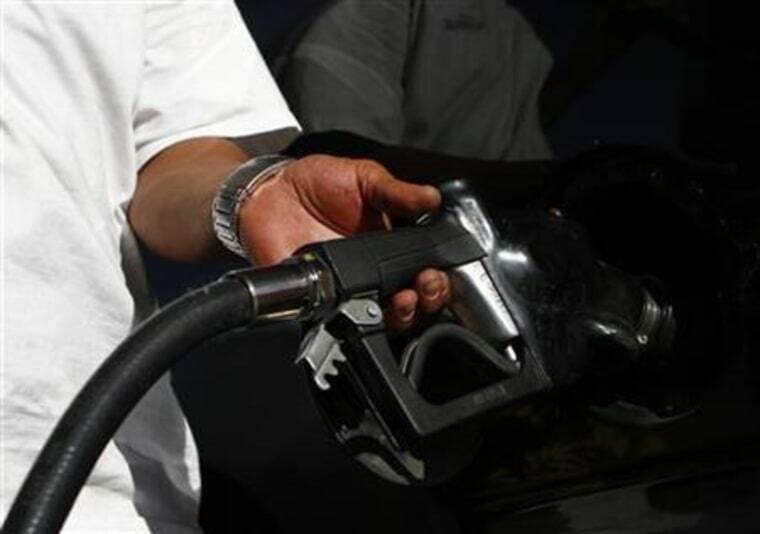 A recent report by CheapCarInsurance.net found that gas stations across the country are failing inspections. The study looked primarily at violations that occurred in 2016 in North Carolina, Florida, and Georgia. Water leaking into gas accounted for the most violations in Georgia, at 20.7 percent, while more than 1 in 10 violations involved faulty discharge, and nearly one-third of all pump leaks occurred with regular-grade gasoline. In Florida, nearly one-third of pumps pumped too slowly, and more than 1 in 10 stations failed inspections. In North Carolina, nearly 24 percent of all gas station violations involved the discovery of sediment in the fuel, and more than 20 percent of the state’s gas station violations related to water contaminating the fuel. The fact that these three states are the only ones highlighted in the report does not mean that gas station violations are exclusive to them, nor does it indicate these states have the highest amount of violations; in fact, these states were selected because they had the best data available on the matter. "We reached out to about a dozen of the largest states to get the most data possible," said Eric Snapper, project manager at CheapCarInsurance. "The states used in the project were chosen based on their department’s ability to provide us clean and appropriate data." Snapper added that due to the differences in reporting and inspection protocols, "each state’s data is non-comparable to other states." While each state has its own data sets, along with its own laws and regulations, every state must abide by the National Emission Standards for Hazardous Air Pollutants (NESHAP), and typically stations are inspected at minimum on an annual basis. In North Carolina, inspections may be done as often as there are customer complaints. Helfrich points out that his department is solely concerned with the quality of gasoline, testing it to be sure it is not contaminated, as well as to verify its levels of octane, which is what makes the difference between regular and premium grade gasoline. "Say you're buying a premium that says 93 octane and it comes up having 92 percent when we test it, then it fails octane inspection," Helfrich told NBC News. Charging premium prices for regular grade petrol sounds like intentionally shady business, but usually the gas station manager is just as clueless as the consumer is about the mislabeling. This may not be the gas station’s fault, but it is the gas station’s problem. Helfrich said that when a station fails a fuel test, the product is shut down until the station has resolved it. That in itself acts like a fine, given that the gas station is stuck with a spoiled product it can’t move, and will likely lose customers as a result. Just as a gas station doesn’t purposely tamper with octane levels, it usually doesn’t intentionally put water or sediment in its fuel. This kind of contamination is typically caused by external factors. Smith added that most gas stations have their gas storage tanks equipped with an electronic alarm that will sound when it senses water. The station may also physically test the gas for water with a tool that turns from white to burgundy when it detects water. It’s an expensive and laborious process, and if it’s bad enough, Smith says it could ruin 8,000 gallons of gasoline. Smith has found that one way to avoid committing gas station violations is by offering full service. "We have attendants at the gas pumps out there all the time," said Smith. "So if there's a leak or a pump isn't clicking off like it's supposed to, they'll catch it right away." But full service is rare in many states, so often it’s up to the customer to know if something is amiss. If you’ve got a lot of water in your tank (a little will likely burn off), you’ll know because the car will show signs of labored operation. “Hesitation in driving, hesitation during acceleration, stumbling and jerking are all signs of water in gas,” said Smith. If you suspect a violation, you should not only report it to the gas station manager, but call the number on the sticker on the pumps. People like Helfrich in North Carolina are actually hoping to hear from you.